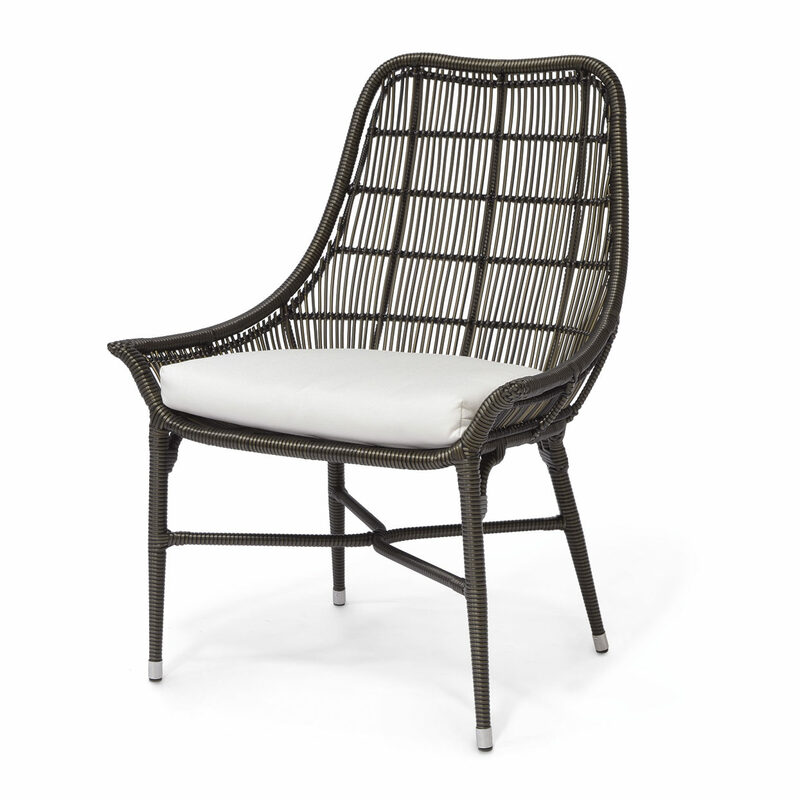 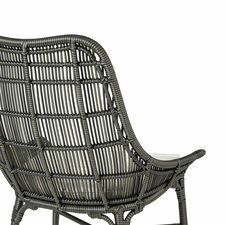 Powder coated aluminum frame and legs with hand-woven all-weather synthetic wicker with maximum UV protection in espresso finish and metal foot caps. Chair comes with a loose seat cushion. 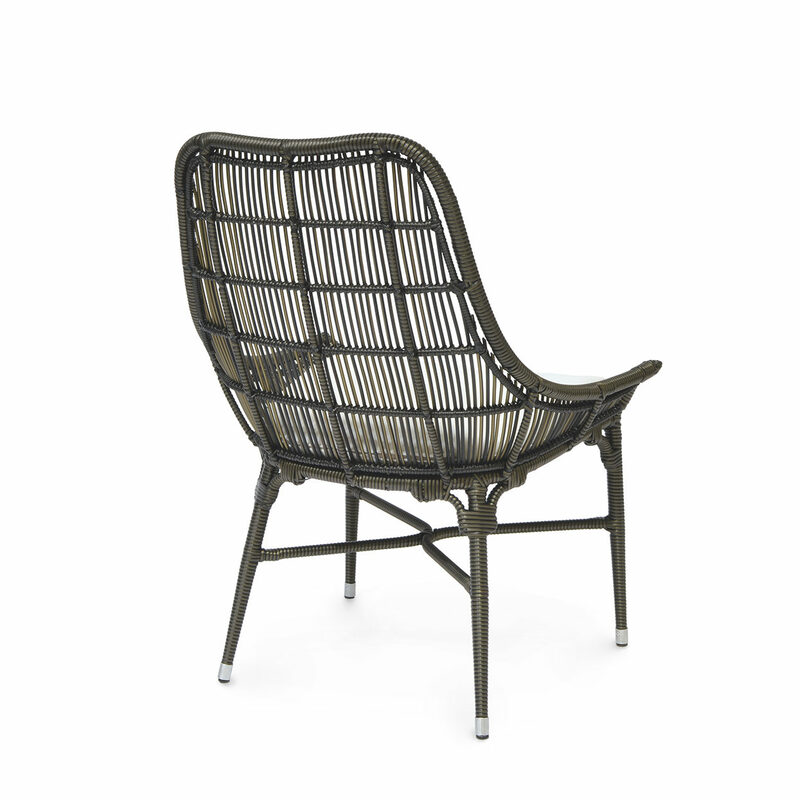 All outdoor furniture comes with outdoor cushions unless specified with a COM form.